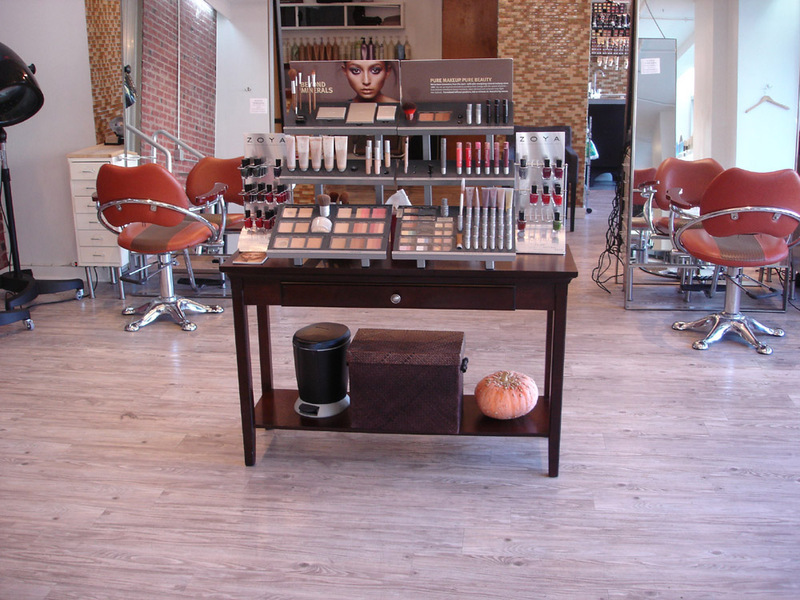 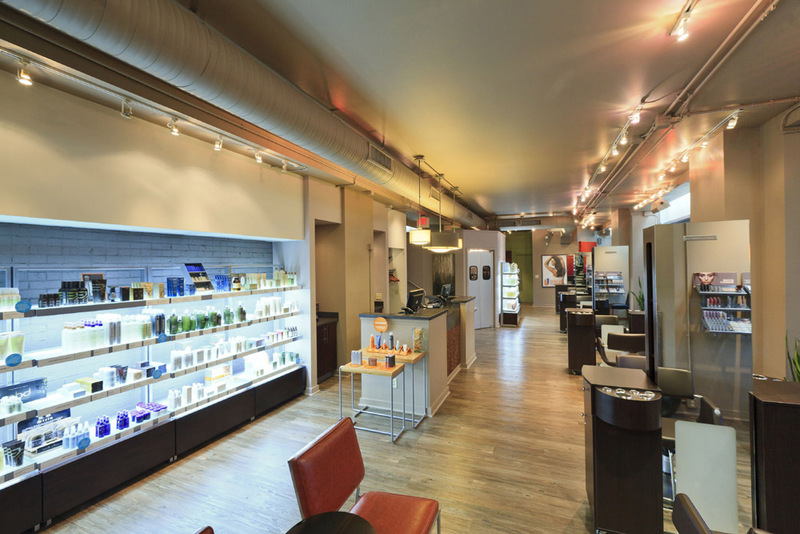 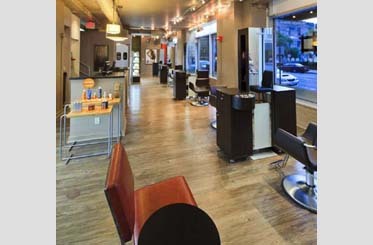 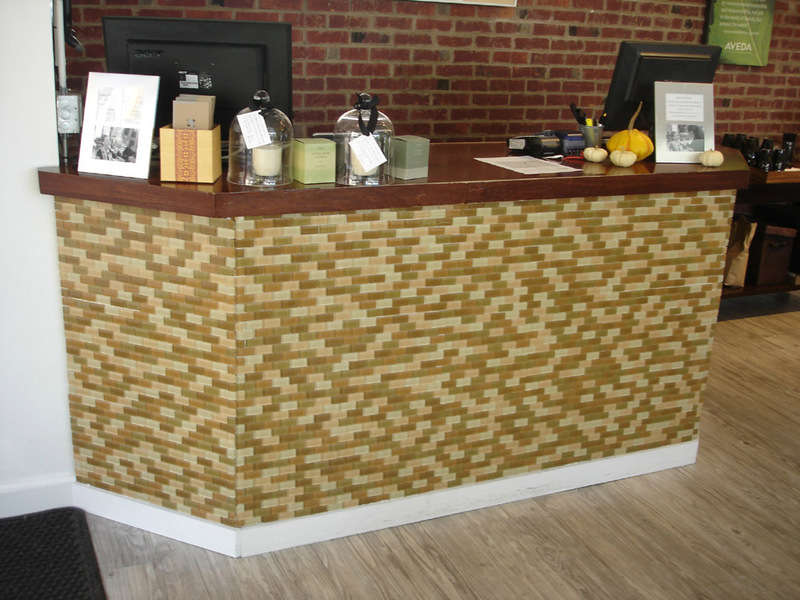 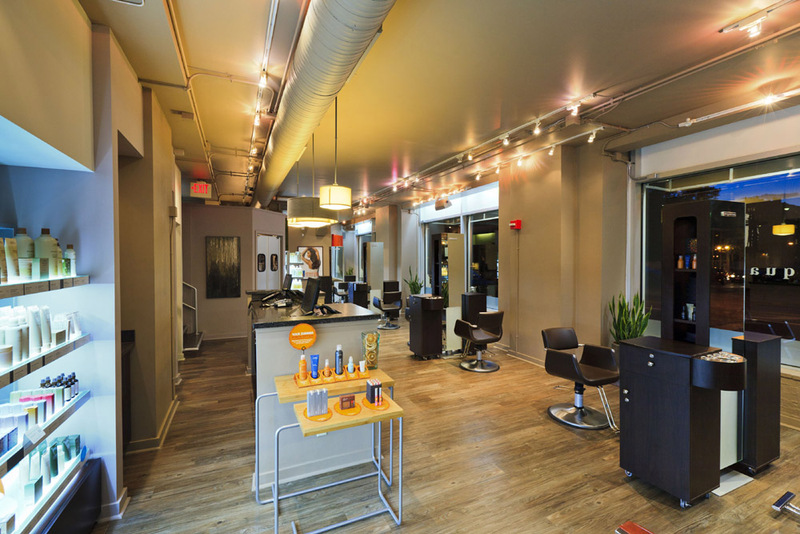 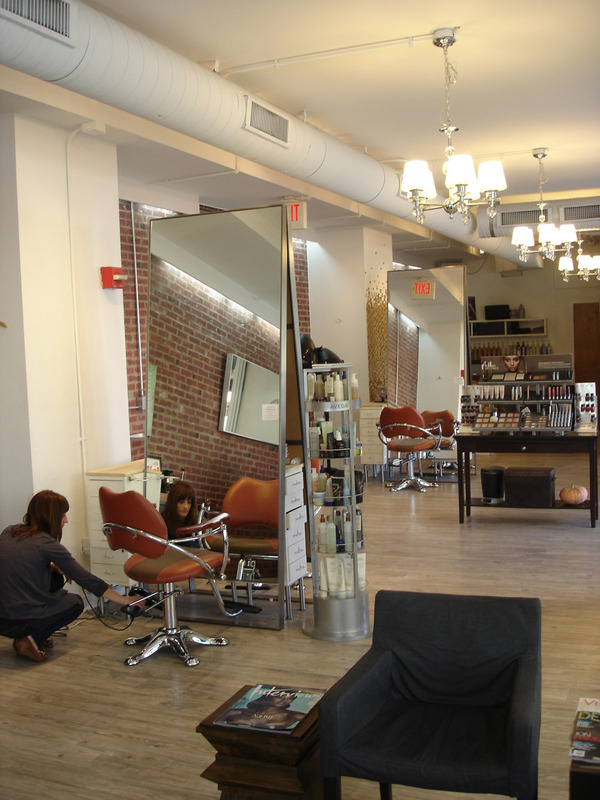 Square One Salon & Day Spa sought to renovate an existing small salon in downtown Columbus, Ohio, with a contemporary and clean minimalistic look. 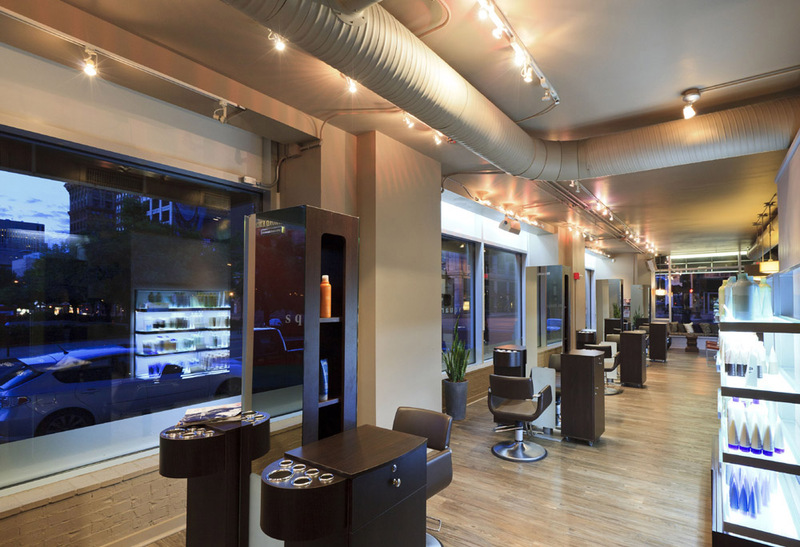 The open ceiling structure exposes painted mechanical and electrical equipment to set a contemporary industrial tone. 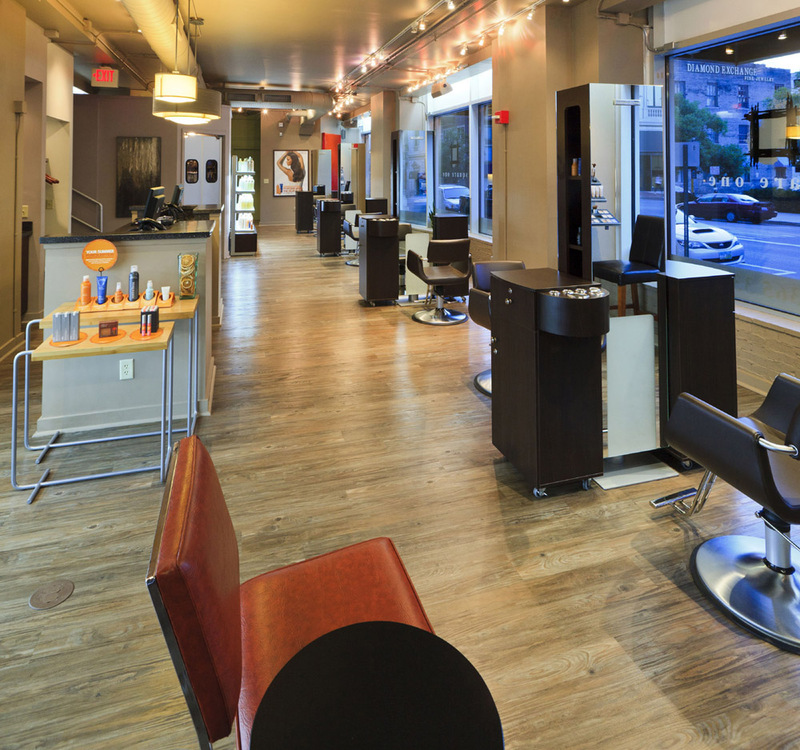 Soft lighting and splashes of color soften the look. 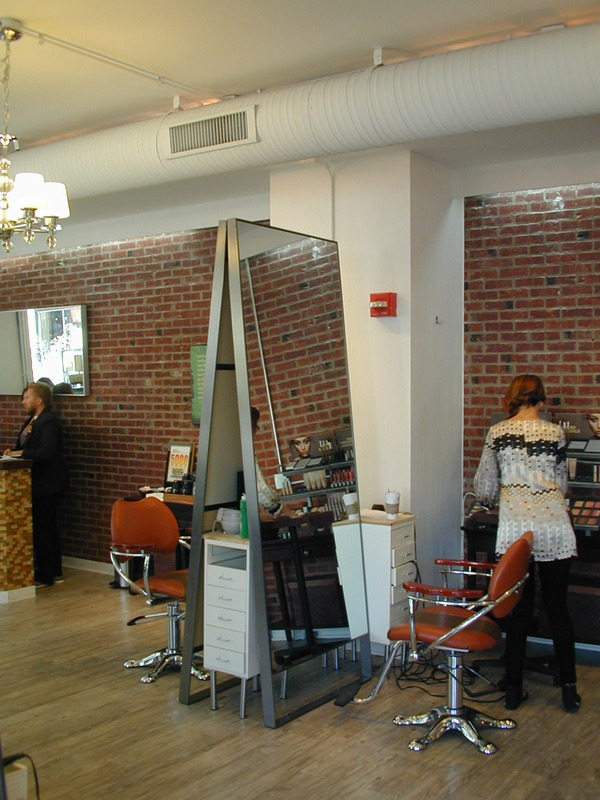 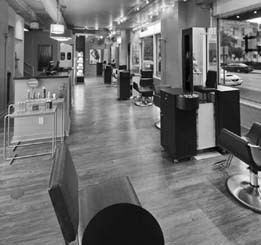 Eight styling stations are positioned along a bank of windows on the storefront to maximize visibility from the street. 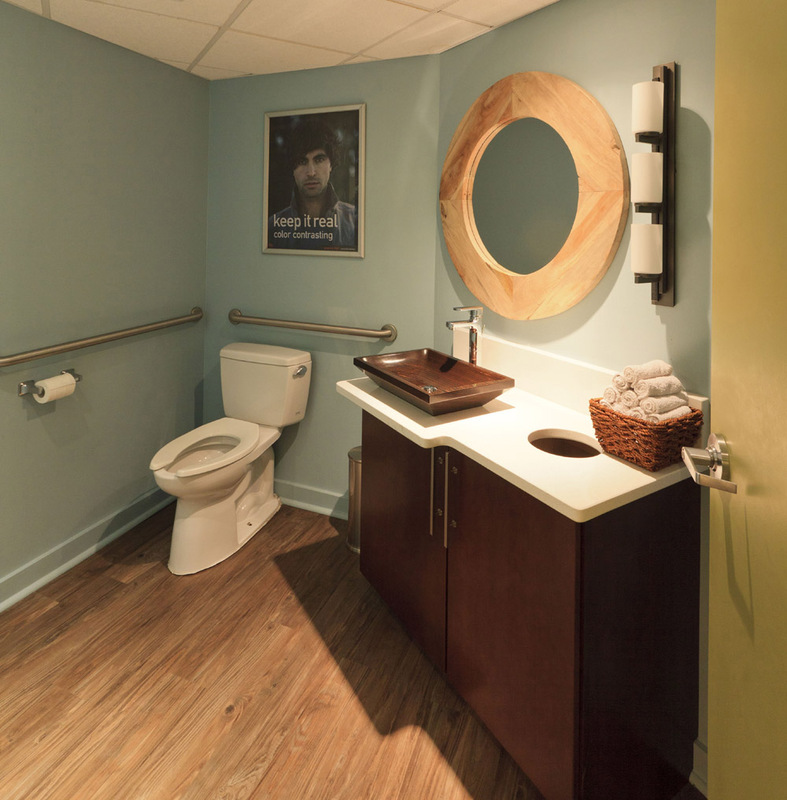 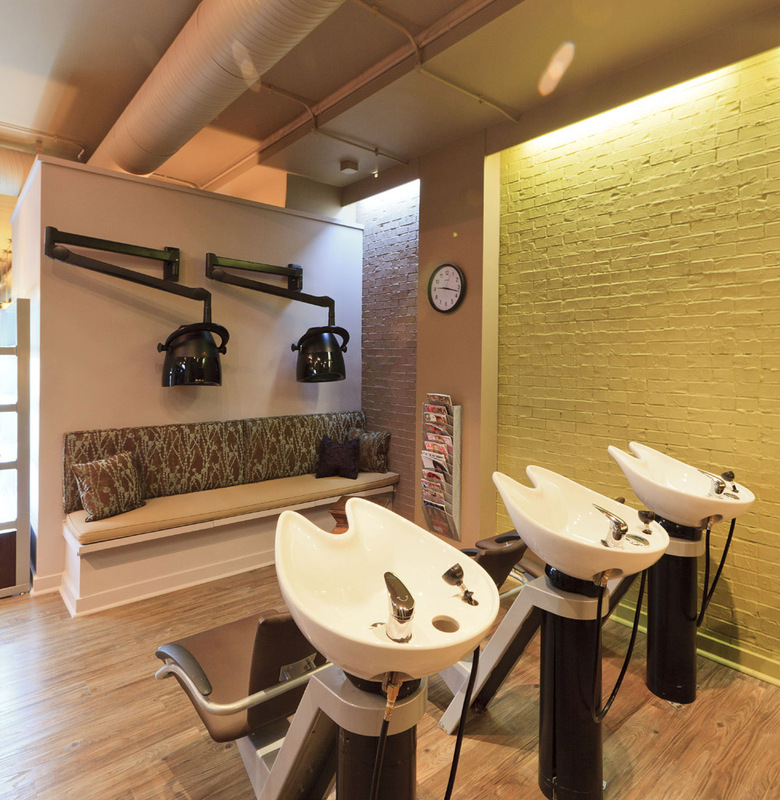 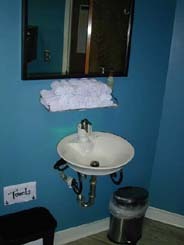 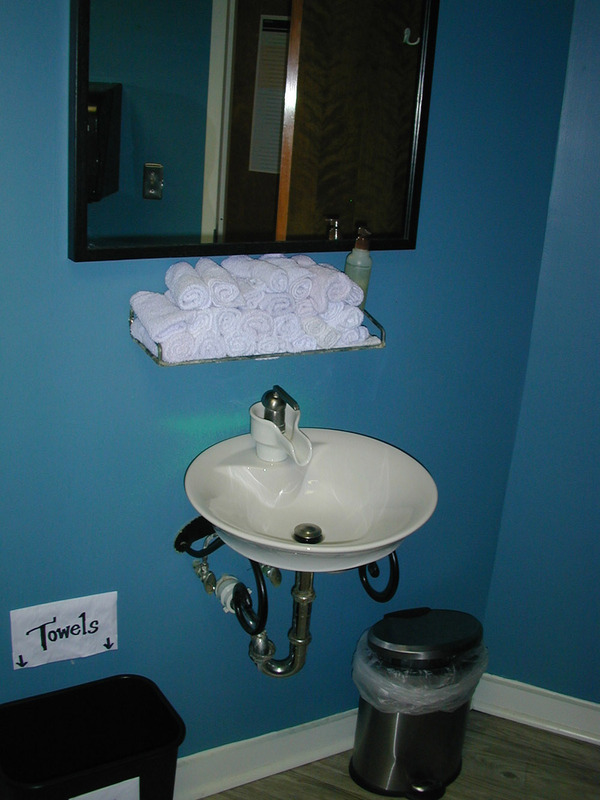 The salon also contains three shampoo bowls, a drying and processing area, waiting area, service desk, dispensary, restroom and laundry room.